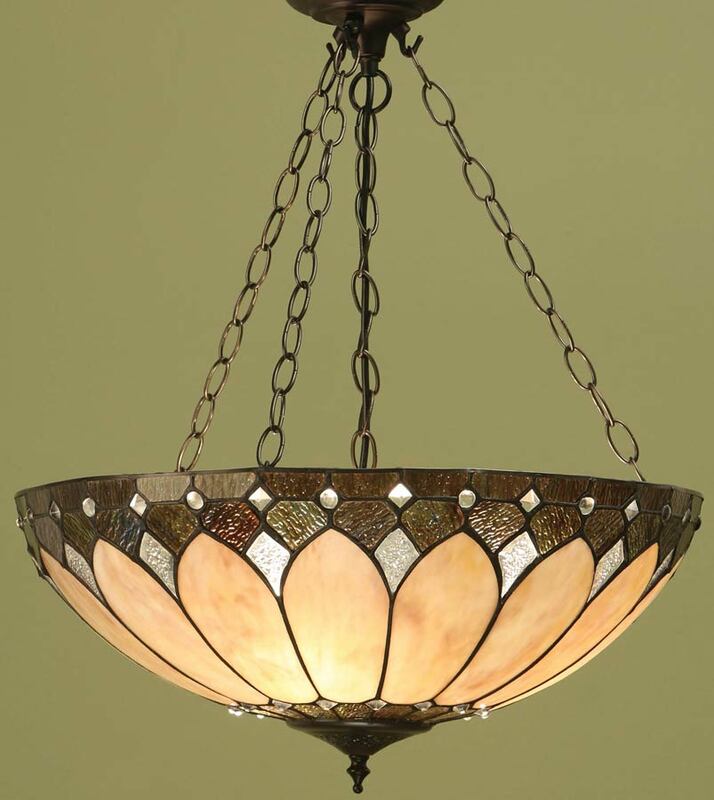 The Brooklyn Art Deco style large Tiffany 3 chain pendant light is an elegant 50cm inverted ceiling pendant, featuring bevelled and textured honey amber art glass highlighting the cream art glass body. Diamond shaped clear rippled glass panels and clear glass jewels are inlaid to refract the light and sparkle when illuminated. The uplighter shade is supported by a black ceiling rose and adjustable height three chain suspension. Height adjustable at the time of installation, minimum height 42cm, maximum drop 62cm. A good sized ceiling pendant light that is perfect for any Art Deco themed room with a lower ceiling.